Toyota's Leroy: "Figures tell us that our quality has never been as high as it is today." 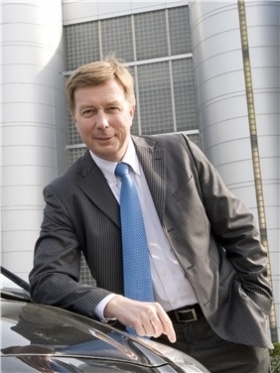 Frenchman Didier Leroy is the first European to head Toyota Motor Corp.'s operations in Europe. Leroy's top task is to stem the brand's loss of market share in the region but he said Toyota won't buy market share at any cost. The brand will also make its cars more emotionally appealing, LeRoy, who became Toyota Europe president on June 24, told Michael Knauer, a reporter at Automotive News Europe sister publication Automobilowche. Toyota sold about 15 percent fewer vehicles in Europe during the first half of the year, while the market grew by 2 percent. Can that be attributed to the recall disaster alone? Naturally, part of the decline can be attributed to the recalls. Some customers are telling themselves, 'Let's just wait and see what happens with Toyota.' They have postponed their purchases. But the crisis in Spain and Greece has also affected us. The crisis in Greece has affected the confidence of consumers in all of Europe. These effects had the same effect on your competitors. Absolutely. But you have to consider something else: It is out of the question for us to engage in a price war, especially in the fleet business. Many of our competitors use their pricing to aggressively push their vehicles into the fleet market. They want to hold onto their market shares, no matter what it costs. Has Toyota done too little recently to achieve a consistently high quality globally? We want to continue to improve our quality, although the figures tell us that our quality has never been as high as it is today. But it's true that our competitors have gained ground on quality. The distance from us has become smaller, and we have to widen the gap again. But it is also a fact that our suppliers confirm that we are stricter than all the other manufacturers. Many Toyota dealers in Germany complain about their dated model portfolio and that the brand has too little emotional appeal. Are you passing these concerns on to top management in Japan? Yes, definitely. The opinions of all the European dealers matter to us. We are familiar with these concerns and are responding to them as much as we can. On the topics of product innovation and emotional appeal, I can say that a great deal has been done since Akio Toyoda took charge a year ago. Toyoda has decided that every new car as of 2011-2012 must be less neutral and more emotionally appealing. A new style will take hold at Toyota but until then, we have to sell the cars that we have today. Many customers also complain about Toyota's high prices, which are almost at premium levels. Naturally, the customer always wants the best for the lowest possible price. It's true that our vehicles are not less expensive than the comparable competitive models. But we are generally oriented to the market conditions. We want to be in the middle in this regard. But large discounts are out of the question for Toyota. It costs a great deal to develop new technologies, and we must earn it from our current business. Toyota spends more on research and development than any company in the world.